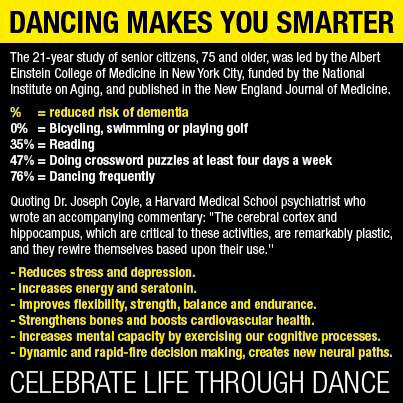 Sport is generally good for your brains, but dancing is certainly efficient. It does not only keep you fit, it also puts your brains to work. Research shows that dancing is the best way to prevent dementia.